So what do a 16 year old, a school project and a watch have in common? Thinking a research paper? Not quite. While other students were writing term papers, at age 16 Rubin was writing a business plan and working on creating Rubin Douglas: A watch company he built as part of his school curriculum. Starting in 2004, he created a full line of handmade watches on Martha's Vineyard with dials designed and constructed by local designers, artists and metalworkers. How does a high school student with a lifelong love of watches go about designing and crafting his first watch? Coming from The Martha's Vineyard Public Charter School, a school that believes in actively supporting students interests, Rubin began to work on merging his passion for watches with his schooling. He started rudimentary sketches as a sophomore in high school. Then garnishing support from a local graphic design artist and a skilled watchmaker he began to create schematics for his designs while learning the technical procedure for designing and crafting a timepiece. Rubin created a company motto that explains Rubin Douglas in a nut shell: "Swiss Movement, American Ingenuity." While each watch beats with a true Swiss made automatic, they are encased within locally crafted cases. The company prides itself on creating a product locally to the strictest Swiss standards. 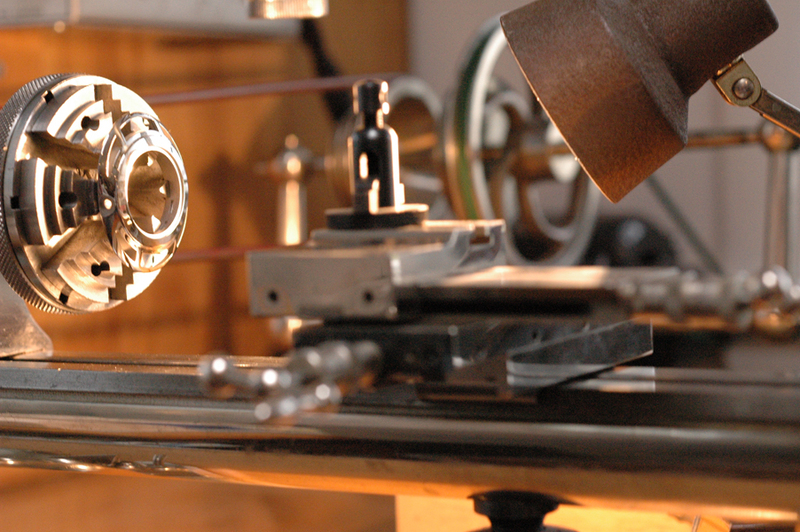 Located on Martha's Vineyard, Rubin Douglas has its watches created and assembled locally. All Rubin Douglas timepieces are assembled to order by master watchmakers and identified by a limited edition number custom engraved on its caseback.